Truck Hub Drive Flanges: Which Brands are Good For Your Truck! Many truck divers look forward for aftermarket heavy duty truck hub drive flanges for both front and rear axles. These aftermarket heavy duty drive flanges are perfect number of splines and are better than factory accompanied axle flanges in the vehicle. 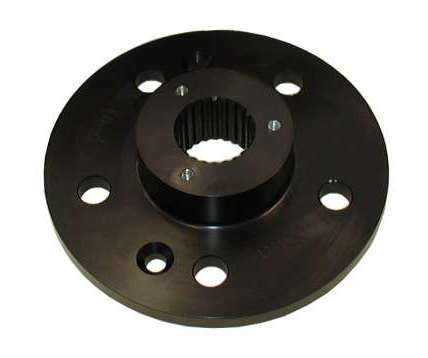 The hub drive flanges are made of hardest steel for providing best torque to your axles and vehicle. The complete kit of hub drive flanges includes flanges, dust covers, cover seals and heavy duty studs. 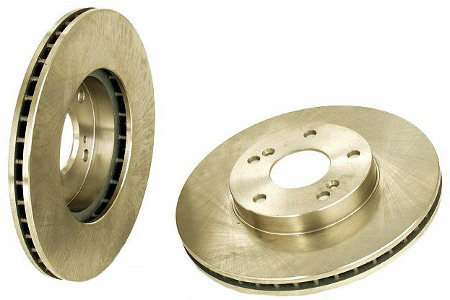 If you are looking for best possible pricing truck hub drive flanges then you must get the best branded hub drives for your vehicle. There are brands like Warn, Mile Marker, and Superwinch; these brands have been trusted and tried by million truck divers for ages. These brands are known for their manual hubs, locking hubs, automatic hubs, drive flanges and other parts that help to provide perfect torque to your vehicle. Warn: The truck hub drive flanges from this brand are extremely popular for their high performance. The Warn drive flanges are made of pure and best quality steel usually called chrome-moly steel that make strong and durable hub combination. The hub is protected by high quality O rings and gaskets. The Warn hub driver flanges are manufactured in America and come with life time warranty. The company has an experience of more than 50 years in manufacturing such rugged and durable truck and SUV vehicle parts. Very few brands manufacture drive flanges of the quality made by Warn. The Warn flanges allow the wheels to remain locked and engaged permanently for balanced riding. There won’t be any difficulty in towing through rugged terrains. They are much stronger and most off road vehicles install such truck hub driver flanges. Superwinch: This is another reliable brand of hub drive flanges. The locking hubs use cast iron drive gear and full metal cap body. They are highly available for SUVs, Jeeps and Trucks. Mile Marker: The hub drive flanges from Mile Market are made of supreme quality chrome and they appear either gold or chrome. They are manufactured with latest patent technology which has decidedly smooth operation. Though they come with limited lifetime warranty, but their performance off road has been quite good compared to some other brands that are available in the market. The truck hub drive flanges have stainless steel cap and perfect number of slines. They come in different designs and make for matching the models of trucks from popular brands. In heavy vehicles like two wheel drive or 4 wheel drive, the differentials play a vital role in transfer of power from the engine to the wheels and that allows the vehicle to have perfect movement of wheels on roads. The power from differentials lessens the pressure on the axles and also reduces the strain. The interior of truck differential has different components which are lubricated and oil is put for smoother action. Therefore with such vital functions it is important for you to keep the differential in good condition and should be in peak. You must check the leaking of oil or lubricants from it. To ensure perfect sealing of the differential covers you must use a better quality differential gasket in your truck. The market is flooded with truck different gaskets, but be very choosy when it comes to installing gaskets for your truck. Choose something that is easy to install and is made of tough material for providing long lasting effect on it. A combination of synthetic fiber and rubber is a good gasket for your truck. Such combination makes the gaskets durable and long lasting. The next important thing that you should look for is crush resistance and high density quality. This will seal the differential effectively. The gaskets which can offer the optimum performance and prevent leakage of oil or coolants are recommendable units for you vehicle. Whenever you open the differential to check the components in it, make sure that you replace the old ones with new truck differential gaskets. This will ensure that the differential is always on the tip of shape and performance. And off course don’t forget the price factor. There are some popular brands which manufacture reliable gaskets at affordable prices like Mr. Gasket. Trans-Dapt: The Trans-Dapt Performance Differential Gaskets have been designed with cellulose-nitrile material to prevent leakage and provide best protection and gap filling. The gaskets are sturdy and long lasting. More than that, they are affordable. Exchanging the gaskets whenever you service the differential won’t burn a hole in your pocket! Lube Locker Gasket: with this popular brand of gaskets you no longer have messy or leaking differentials anymore. The Lube Locket Gasket has elastomer beading for positive seal of your differential all the time and every time. Lube Locker “Reusable” Differential Gasket: If you feel that your vehicle deserves grit free differentials then this no oil seepage is the one. The Luber Locker reusable gaskets have been designed for those who don’t feel like changing the truck differential gaskets every time they service the gaskets. 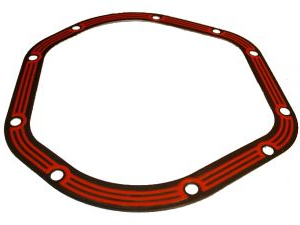 The reusable differential gaskets come in wide range of designs some with elastomer beading which deliver superior sealing even in toughest temperatures. They have been designed for uncompromising performance and quality. All types of Lube Locker are manufactured in the US. They come with good warranty and quality assurance. Thus, with truck differential gasket you can have grit free differentials with no oil seepage. Your maintenance becomes hassle free and quick.